Yesterday after work I planned on taking aqua fit after doing some cardio. I decided to take advantage of the (again) beautiful weather and bring it outdoors! I pulled my car over on Kelly Drive (again), laced up the sneaks and went! I hate to be so repetitive and I do realize this is becoming routine, but I just LOVE doing that! I feel SOOOO liberated, free, healthy and happy! Anyway, I was pacing like a MAD woman! I banged out 4 miles in approximately 35 minutes! This is definitely a new PR speek for me! Woot woot! It felt amazing! After my run I hopped in the car and gunned it to the gym where I promptly made it for the start of Aqua Fit. ‘Twas another great class with Alison at the Sporting Club! love it! 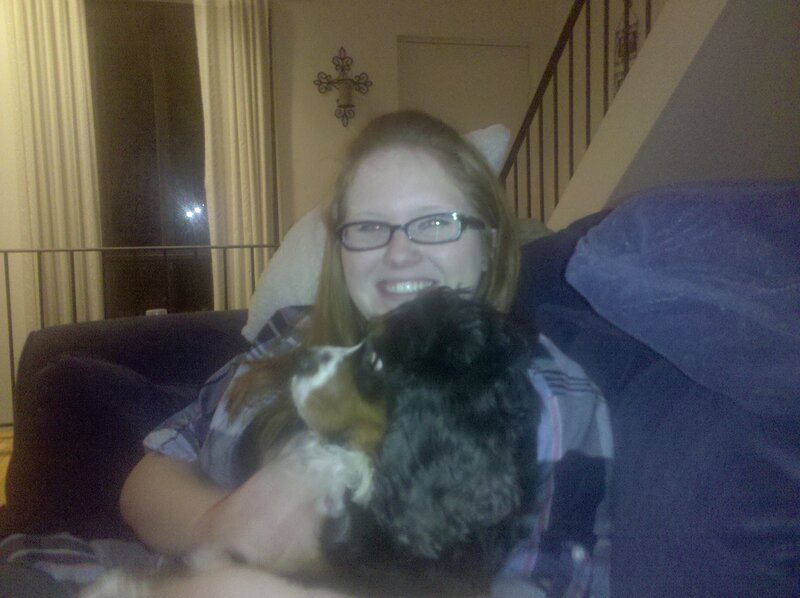 Ian’s cousin, Saba, is staying with us for a few days over her Spring break! 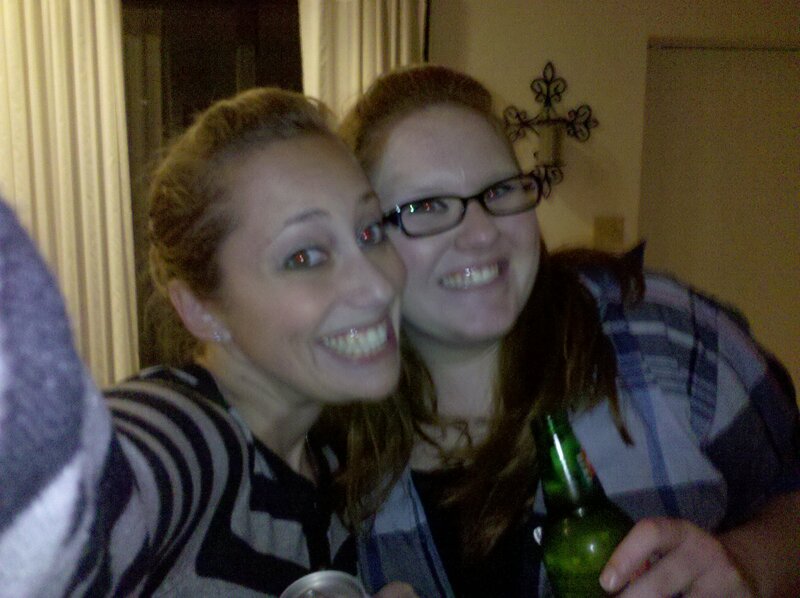 I am so excited because she is coming to work with me (today) and it is going to be so fun! Also on the agenda is a dinner at Varga (duh), watching the Hurt Locker (finally), tea on Friday, homecooked meals and lots of fun! 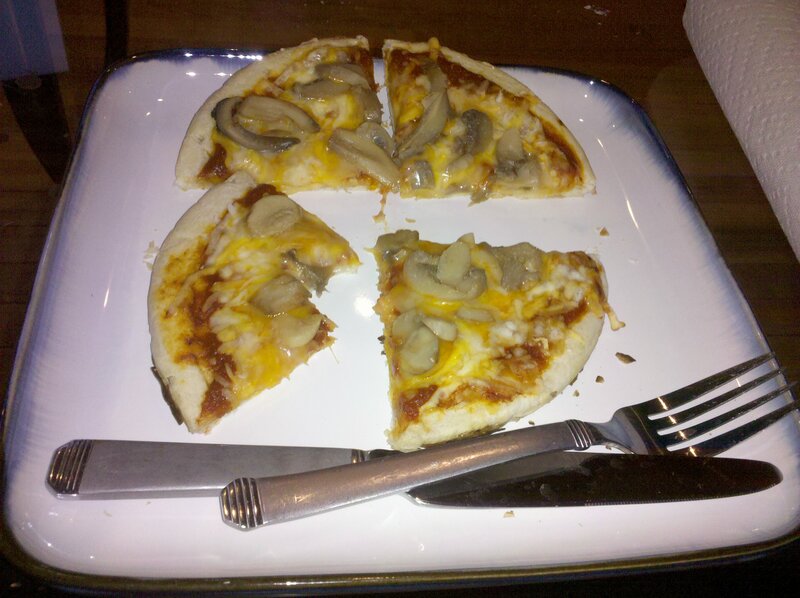 Last night speaking of homecooked meals, I made really yummy pizza. I had bought three individual crusts and we topped them with all sorts of good stuff. ‘Twas sooo yummy! I definitely could have polished off the entire thing but kept it to 3/4ths in anticipation of my yogurt. So here was my yogurt from last night- Red Velvet with a different topping (bringing me back to my college days)…rainbow jimmies! 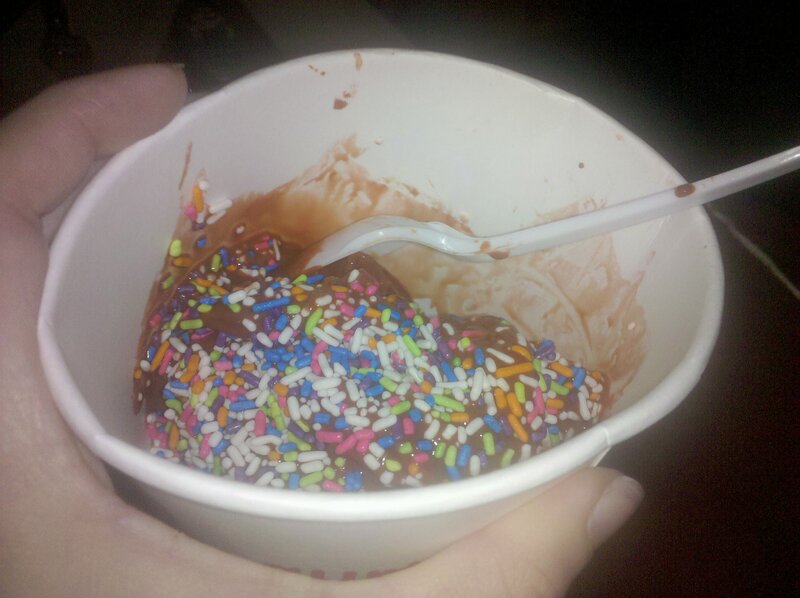 PS: Do you call them jimmies or sprinkles? It’s an age-old question, no?!?! 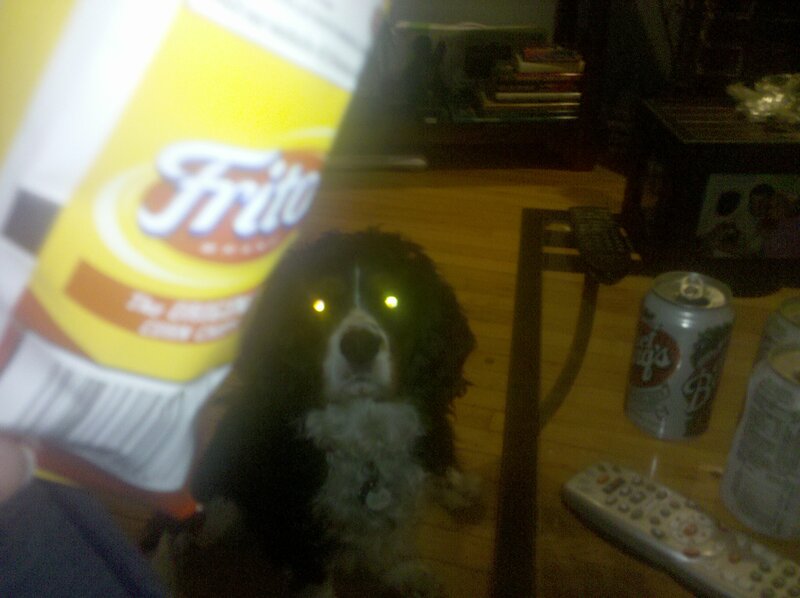 Like Mama like son with the Fritos, no? 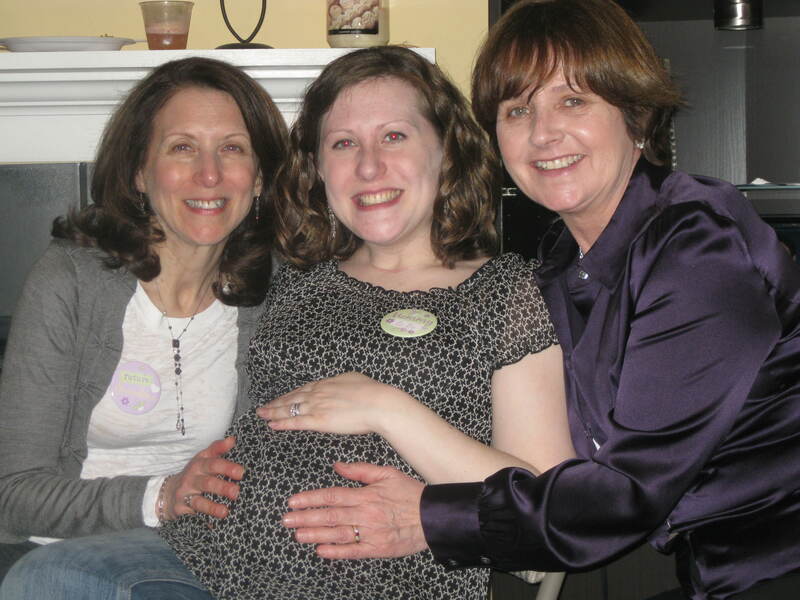 MY SISTER-IN-LAW’S IN LABOR! wootwoot! I’m gonna be an Aunt today! Check back later for an update! Anyway, hope you’re having a good start to Thursday! Toodles! 1. Whats up with the use of the word, “‘Twas” ? 2. When am i going to see you, ever again? 3. Jimmies, all the way.